A 3D-effect arch stretching over a pallet or circular display is conspicuous from a distance. 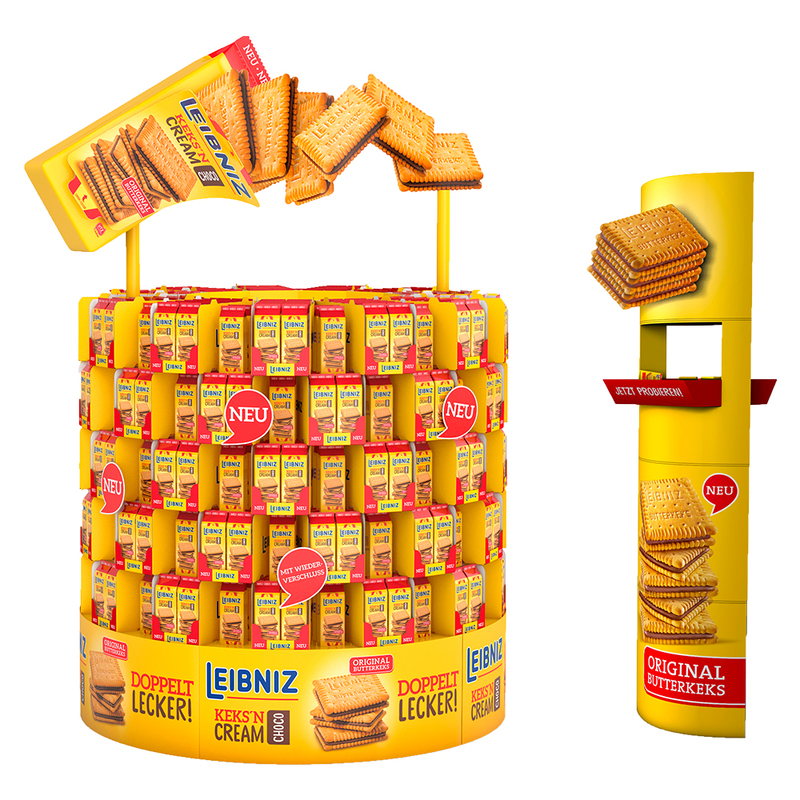 In front of the display, totems incorporating an optical illusion poster ensure that shoppers linger to interact with the product. Based on the hollow face illusion, the poster seems to turn and follow shoppers’ movements.